Interested in cloth diapering your newborn? You’ve come to the right place. My Sweet Pickles rents newborn AIO cloth diapers. 2. 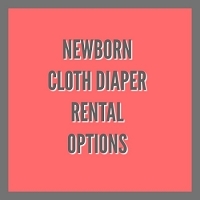 Pick out the diapers you want to rent and pay for your per diaper deposit. 3. Decide how long you want to rent them for (to start) and pay the rental fees. 4. When you’re done with your rental period, either pay for another month rental or return them to My Sweet Pickles. 5. If the diapers come back to is in an acceptable condition as described in the “Terms and Conditions” page, we will either issue you 110% store credit for your diaper deposit (yes we did say 110%, that was not a typo!) or you can get half your deposit back in the form of a store credit and half refund.